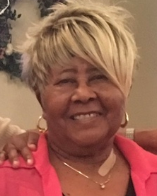 Provide comfort for the family of Doris Harmon with a meaningful gesture of sympathy. Doris E. Harmon was born in Faunsdale, Alabama on September 29th, 1937 to Anna Black-Willis and John Simmons. She was a graduate of Robert C Hatch High School in Uniontown, Alabama. Doris will be lovingly remembered by her husband of 59 years, William. In this union, four children were born, Carl (Tara), Valerie, Kevin and Hassan. Doris will also be fondly remembered by her step-children Charles (Catherine), grandchildren, Tshombe, Aisha, Ryleah, Selena, Biondi, and Jerome, by her great-grandchildren Orlando and Xavier, by her sister, Fay Jackson, by her sister-in-law, Doris Sullivan, by her brothers-in-law Lee and George Saladina, her dearest cousin Alma Small, and a host of nieces and nephews. Doris worked as a nurse’s aide for 20 years before retiring to become a full-time stay-at-home mom. Doris was renowned as the “madea” of the family and her church! She had a spunky personality that would have you crying from laughing so hard. She was notorious for providing her amazing wisdom. Doris loved spending time with her great-grandchildren. There’s no denying that, her grand babies as she called them, were her heart and joy. Doris served as the chair of her church’s mother board. Doris was preceded in death by her mother and father, her two children, Valerie and Hassan, her sisters Augusta Carter and Winnie Scott, and her brother John Simmons. To send flowers in memory of Doris E. Harmon, please visit our Heartfelt Sympathies Store. Provide comfort for the family of Doris E. Harmon by sending flowers.